The Ohaus V11P3T scales has a capacity of 6.6 lbs and a readability of 0.001 lb and a secondary display on the rear of the scale. 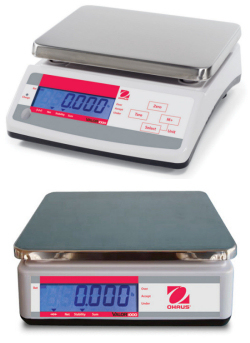 Part of the Valor 1000 series of compact table top scales, it is NSF certified sanitary and comes with a removable stainless steel pan and rechargeable battery. 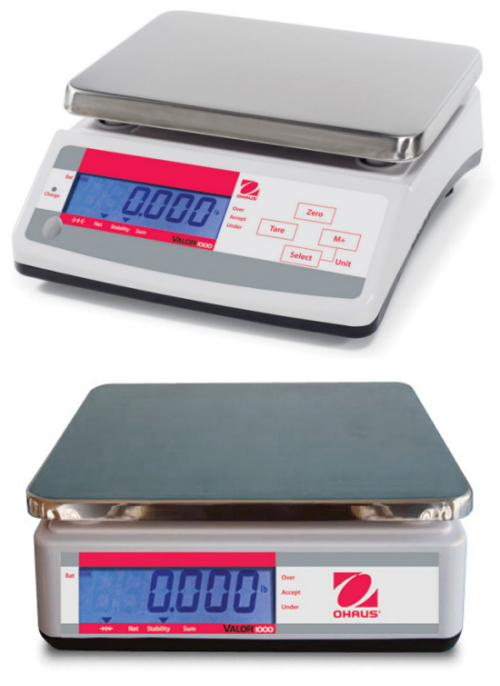 This scale was designed for food portioning, but can also be used for general weighing purposes. Applications include a checkweighing mode, accumulation and features multiple weighing units.